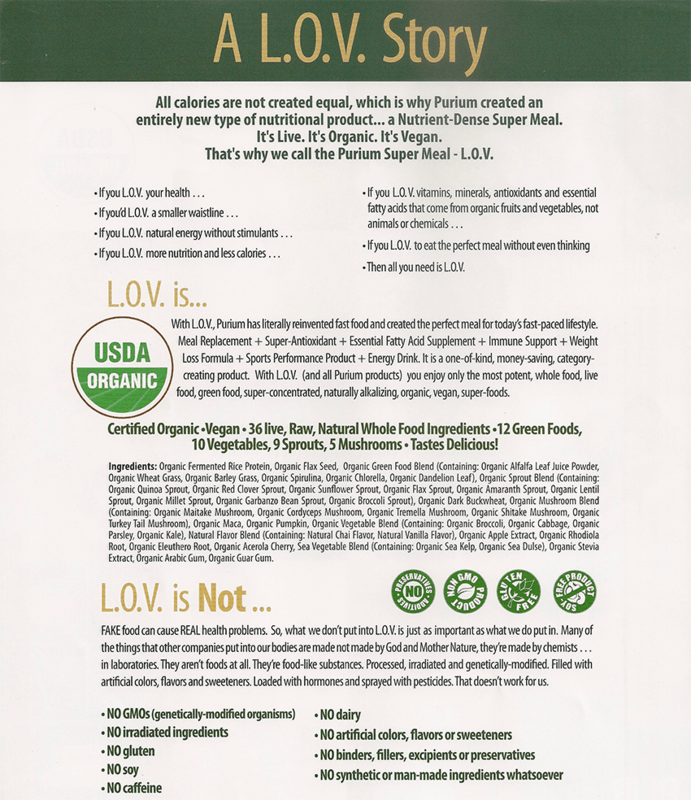 With L.O.V., Purium has literally reinvented fast food and created the perfect meal for todays fast-paced lifestyle. Meal Replacement + Super-Antioxidant + Essential Fatty Acid Supplement + Immune Support + Weight Loss Formula + Sport Performance Product + Energy Drink. It is a one-of-kind, money saving, category creating product.